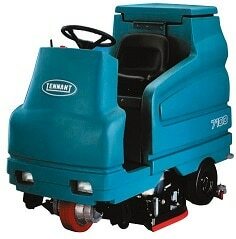 The Tennant 7100 70 cylindrical ride on scrubber dryer has a 700mm scrubbing and a 114 litre solution tank capacity. This scrubber dryer has been engineered to increase comfort and boost productivity, the 7100 ride on scrubber dryer occupies less space than most walk-behind scrubbers. In fact, the 7100 ride on scrubber dryer is narrow enough to scrub through a 36-in/90cm doorway, and nimble enough to turn in a six-foot wide/1.8m aisle. Offering industrial-strength cleaning in a smaller riding machine, the 7100 ride on scrubber dryer scrubs up to 56,320 sq ft/5600 sq m per hour and is ideal for all environments: from small-to-medium warehouses and manufacturing plants to retail, schools, universities and hospitals. No Tennant machine would be complete without customization. From battery roll-out, and ES (extended scrubbing), the 7100 can be tailored to your specific needs. Small in size, the UL E-approved unit is big in operator comfort and safety. Low noise level, one-button scrubbing and touch-panel controls make the 7100 ride on scrubber dryer user-friendly to even first-time operators. As a result, driver fatigue and stress are dramatically reduced, and productivity is increased up to 30% over walk-behind scrubbing. Roomy operator compartment with front Safety Guard housing. Powerful 36-volt battery system makes the 7100 scrubber dryer ideal for indoor applications. No-mess clean-up from large, easy-access recovery tank. 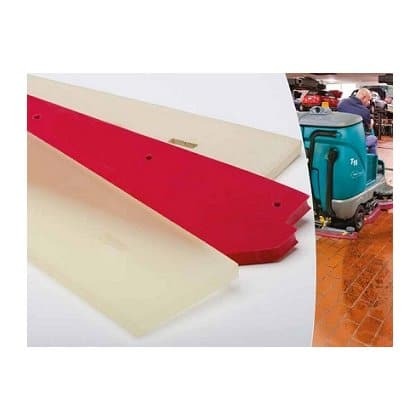 Parabolic Squeegee Patented break-away, parabolic, no-tool-change squeegee with alarm for quick maintenance. Extra large front wheel drive for a stable smooth ride and to protect cleaning surfaces. 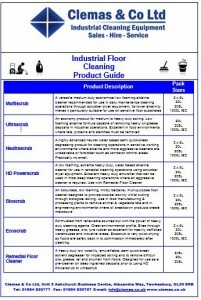 Overall micro size for cleaning the tightest spaces and scrubbing through doorways. ec-H2O technology; electrically activated water to perform like a powerful detergent. A cost effective option.